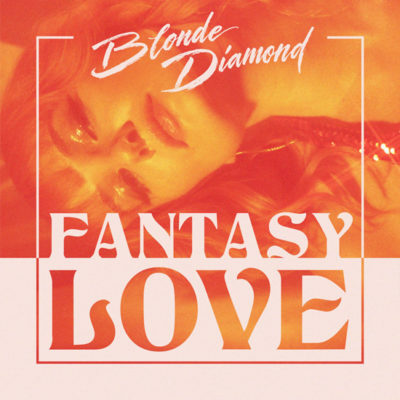 Vancouver’s fast rising dream pop quintet, Blonde Diamond is at it again with their newest EP Fantasy Love. Featuring their first single of 2018, Better When You’re Close and Dark Place (released July 2018), Fantasy Love soothes the senses with their dreamy melodies and siren-like vocals. Fantasy Love is their first EP released under their new name. Blonde Diamond recently changed their name from Youngblood this past autumn. Blonde Diamond finds a way to perfectly mix chaos and tranquillity into songs such as Show Me How You Wanna Be Loved. Front-Woman, Alexis Young, takes full advantage of her siren-like voice to pull you in and keep you replaying their songs over and over. With songs like Famous, you’ll feel the soothing tones as they wash over you and make you feel the emotions of an emerging artist. Fantasy Love features the producing expertise of Juno-nomination DJ Sleepy Tom. Fantasy Love starts off on a heavier note with Better When You’re Close, their first single off the EP, with strong heartbeat like rhythms and lullaby-like vocals. Easing up a bit, Young serenades us with their smooth love ballad, Show Me How You Wanna Be Loved. Fantasy Love rides the line between retro and futuristic with songs like Bend to Break and Dark Place. Young brings beautifully frantic energy to all of her performances that transports the audience into the music, trapping them for the entire set. Blonde Diamond is fresh off a North American tour with Portugal. The Man and Broken Social Scene and their popularity is growing fast. Off one tour and onto another, Blonde Diamond has began touring with the Canadian duo, Dear Rouge, as they tour across British Columbia and Alberta. Blonde Diamond will be taking on the Blue Grotto in Kamloops on Nov. 8, performing alongside Dear Rouge.